While online data storage and on-demand resource availability can save companies a lot of money there are many companies, especially in the healthcare and finance sectors, which are still not keen to hand over their data to a third party. They are afraid their critical data will be hacked or accidentally lost or even stolen by rogue employees. But, today new solutions are coming out of which there is one which can verify the provider’s claim that the data will be safely kept in one’s own server. For instance, Amazon like many other cloud hosting service providers offers a private cloud service where the customer can get his own separate server. So, in short, cloud computing has dramatically changed the way businesses think of security for their data. With businesses are continuously adopting cloud services for backing Artificial Intelligence, Big Data, Internet of Things etc, they are still wary of security for their assets. In other words, cyber security is the main concern for businesses which are moving their data to the cloud. To address these security concerns, there are some companies that are establishing on-premise private clouds. These private clouds can guarantee a much higher degree of agility and flexibility compared to the public cloud. Not only do they have better control over the data, they also have the power to address compliance requirements specific to different industries. These do-it-yourself clouds will have their distinct security risks and problems. Simply because you will have a private cloud inside an on-premise data center is not enough to guarantee that security will be better than in a public cloud. So, if you do not have teams of experienced and well-trained cyber security experts, you may find that such DIY private clouds are more vulnerable than public clouds. The problem lies in the fact that when businesses shift to the private cloud, they must take up more responsibilities. When there are not enough resources at hand, or not sufficient workers with expertise or a dearth of trained staff, such businesses find it very hard to keep their environments secure. 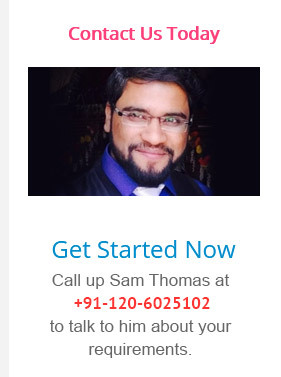 If you do not want to recruit such experts, there is an alternative too. You can always sign up with a managed service provider. So, now many businesses are slowly reaching out to managed cloud service providers in order to ensure that their security needs are properly addressed. These “as-a-service” solutions like the private cloud-as-a-service focus mainly on the end product and they can successfully wipe out all worries about how this end product will be created. All these “as-a-service” solutions have been popular because they are more effective in resolving consumer problems. When you sign up for private cloud as-a-service, you can substantially cut down on the security risks. You can also enable your business to meet industry norms backed by robust cyber security measures and cloud expertise. Since the vulnerabilities may happen even during day-to-day tasks, it is important to monitor the whole cloud stack. This is why the managed cloud service providers will offer 24x7x365 supports and offer relevant and regular security patches, updates and new technologies. A strange thing that a recent Palo Alto Networks survey discovered was that a prime threat to security in the cloud is the wrong configuration of cloud platforms. This is followed by insecure interfaces, improper access controls and abuse of employee credentials. So, many threats actually emanate internally and from behind the firewall. When you do not have a rightly configured private cloud, there may be security risks. If the cloud lacks the existing patches for plugging the known vulnerabilities, disasters are bound to occur. When you cannot lock down the entire network easily it is very difficult to satisfy the compliance standards. The security statistics which compare clouds may be misleading and contradictory because of differences in methodologies of comparison. While IT experts may have clear ideas of security threats, research shows that almost 90% still have concerns about application and data security in the public cloud services. This is why compliance and security experts usually recommend using a private cloud as the latter can offer significant advantages over the public cloud. 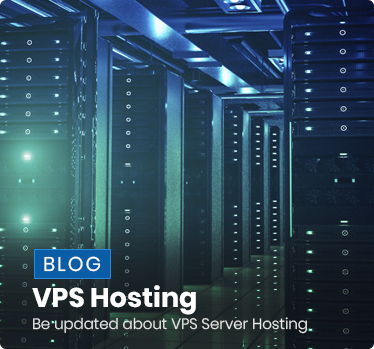 Any cloud will need anti-virus or firewall measures, but a private cloud operates on specific physical servers and therefore, it is easier to enforce physical security. Cloud access will always be far more secure within a private cloud as it can only be accessed through secure and private networks and not the Internet. 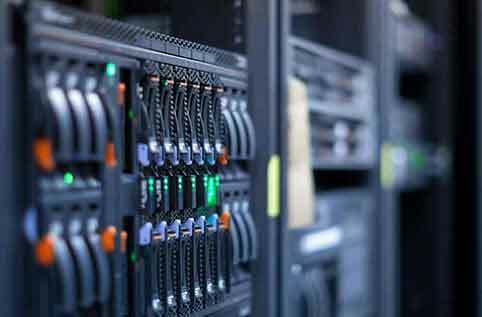 The private cloud can guarantee more redundancy and a redundant server and Storage Area Network will ensure that the system runs with no downtimes. It will also improve disaster recovery solutions time. Businesses which shift from legacy on-site systems to the cloud find it simpler to deploy their workload on a private cloud. This is because these can be easily customized to support any type of application. The only way your business can survive in a digital world is if it can successfully grow with the changes around it. Enterprises are known to succeed only when they are able to adapt to market trends and new industrial innovations. They have to actively incorporate new technologies within their culture and implement these in their business operations. Survival of the fittest is true of businesses which can embrace digital transformation. Why are cloud solutions considered for making a company digital? Reports suggest that by 2018 the CEOs of Global 2000 businesses will include digital transformation as part of their core corporate strategy. Gone are the days when businesses would get one solution and deployed it; the time has come to think of one’s business as a digital company and to picture your future accordingly. So, to bring digitalization to the core of businesses, companies need to recreate their processes centering on their clients. The focus should be on building smart processes to allow businesses to respond towards changes. It is also important to build a positive work environment which will allow employees to achieve more and be more productive. Your aim should be to understand what your clients need and to find out newer ways to communicate with them better. Finally, you must preserve data like a strategic asset. It must be kept secure and used for delivering value. To be able to ensure all these, cloud computing solutions are found to be most beneficial. They will help you to interact better with customers, to empower your workers, to optimize business operations and integrate technology with products. To drive your business forward you can use a public cloud. With this cloud computing model, you have access to many types of services like storage, application etc which are offered by the cloud vendor using the public network or Internet to deliver these. With public clouds you can also enjoy cost-effective resources because the resources are shared. For instance, Microsoft Azure and AWS or Amazon Web Services help companies to get new application servers or infrastructure as and when they need these. With Azure, businesses can enjoy nearly endless scalability so that they are able to create and deploy cross-platform applications. They get the best compliance and security for their applications and can access Microsoft data centers all over the world. AWS, on its part, also helps companies to create a digital change framework so that they can scale up and down their infrastructure and enjoy quicker access to online computing resources. In this public cloud, businesses which demand a higher degree of privacy can also enjoy a particular section of the cloud for themselves. This kind of private cloud computing within a public cloud environment is called virtual private cloud. Businesses can choose a private cloud which is exclusively meant for a single organization. So, with a Microsoft private cloud, a business may be able to deploy an application driven cloud platform. The private clouds will help companies to focus on their business value. They can get support for operating systems, multi-hyper visor environments and application frameworks. The private cloud can guarantee enterprise-grade virtualization, high workload density and better resource utilization for companies. This in turn leads to better business alignment along with a greater focus on delivering value which should be the main goal of any digital company. Another option is the hybrid cloud which is a unique mix of the public and private cloud models. It turns out to be a game changer for any company because it can maximize trade-offs. You can get the best performance from the cloud using this solution. Companies can optimize their current assets and enjoy higher scalability and better resource accessibility through a larger cloud infrastructure. By using this form of cloud computing, companies can readily access resources from a public cloud and enjoy the freedom to test new technologies faster. They can also secure data in the private cloud part of this hybrid cloud environment without having to bear any upfront costs. With this digital world the nature of employees and their working habits are also changing. People are becoming more mobile and companies are seeking mobile technologies to boost digital transformations. This results in better process efficiency, higher productivity and better access to information. Employees are keen to use mobile devices to work from anywhere in the world at any time of their convenience. So, modern businesses prefer BYOD programs to support their workers. Enterprise Mobility Suite will help to make digital businesses safer so that there is no unauthorized access to resources and applications. This will also help to cut down costs and improve worker productivity. It will guard against data loss and identity thefts. Finally, a business productivity suite is necessary to help businesses empower their workforce with all latest tools to boost their productivity. Side by side, this will also enable the employees to get a feel of the advantages of a digital workplace. It will becomes easier to connect with employees across various time zones, to offer support to team members outside company firewalls and offer them tools to cater to client expectations better. How to start cloud hosting business? How to start cloud hosting? This entry was posted in Cloud Hosting and tagged cloud hosting, Cloud Server Hosting, Private Cloud on January 25, 2018 by Abhay Singh. Nearly 88% of respondents in a survey on hybrid cloud capabilities have argued that it is critical for businesses keen to enable digital transformation. When you wish to boost your digital prowess, you should invest in this cloud computing model. Modern businesses are experiencing a new shift which revolved around the ides of digital transformation. Through this process, analog organizations are gradually moving into the digital age through cloud settings. Now, businesses are using the cloud technologies with their data center capabilities to get business solutions for the next generation. This path to digitalization starts with adopting the hybrid cloud model. Why do businesses need hybrid cloud? The business landscape today is taking on completely new dimensions and there is a growing increase for flawless customer care solutions and better services amongst enterprises. This has necessitated a tendency amongst enterprises to adopt digital approaches as soon as possible. Those that cannot make use of the opportunity are lagging behind in the cutthroat competition. There is a sudden rush to push businesses into embracing digital technologies. How can the hybrid cloud model enable digital transformation? Adopting the hybrid cloud is believed to be the path to digital transformation. It is designed to resolve many issues which CIOs are currently dealing with. The hybrid cloud offers multiple benefits in terms of cost savings, better flexibility and scalability. The hybrid cloud also incorporates many hosting models. 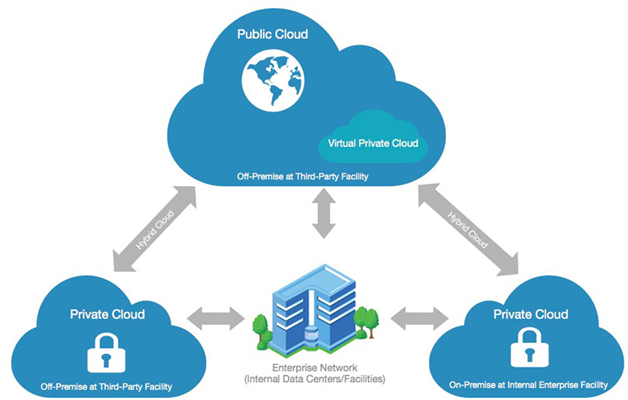 So, the hybrid cloud will typically have an on-site private cloud and off-site public cloud. Businesses can use the IT real estate which they already own and integrate new solutions. Workloads may be shifted between these models to ensure that all business goals are met. Businesses are therefore free to store their sensitive data, such as client financial data, in the private cloud which offers better security measures, and less-critical data in a public cloud. 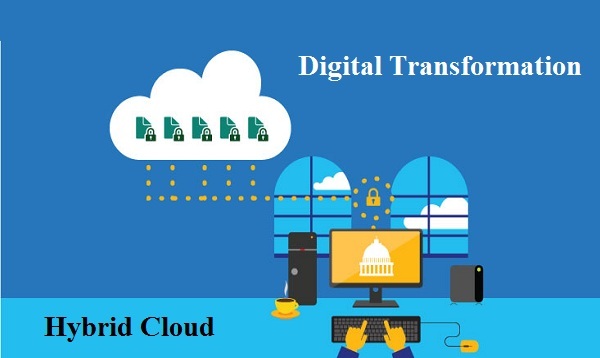 The IT world is waxing eloquent about the many advantages which cloud solutions offer, how they can initiate digital transformation. The IDC has even predicted that by the next year-end, nearly 40% of total IT expenses will be dedicated to cloud technologies. With this surge in cloud spending, most businesses have already started to use hybrid solutions. For businesses which are engaged in digital transformation, cloud solutions become absolutely indispensable. Today, the most commonly used cloud computing model is the hybrid cloud which combines the public and private clouds. How does the hybrid cloud model work? In the hybrid cloud, you will find multiple delivery models. There will be a traditional data center or the private cloud together with the public cloud. The hybrid cloud works like a bridge or an enabler; it is the logical step towards a responsive and proactive IT set-up. The hybrid cloud model will also allow you to install systems which can accelerate innovation and maintain future growth. The hybrid cloud will introduce better security and governance for organizations which have invested in both the private and public cloud infrastructures. According to industry experts, the hybrid cloud basically provides a framework for connecting people, systems and data so that new innovations can be brought about. What benefits can the hybrid cloud offer? Since most businesses are struggling to combine their public and private cloud capabilities, they are wasting precious time. Efforts for making their digital dreams come true are also getting affected in the process. Hybrid cloud comes to their rescue here. Businesses which have adopted this cloud model are found to be three times likelier to realize their goals than those who have not adopted it. IDG Research states that 83% respondents are already using or will be using hybrid clouds soon. 88% of them feel that the hybrid cloud alone can accelerate digital transformation. This is because this cloud computing model can actually free up the budget needed for maintenance. It pays for itself and you can invest in other solutions for business growth. The CIOs need to be focused on outcomes of their businesses which are made possible by the hybrid cloud. It is the best possible platform for designing, building, testing and installing digital transformation solutions. Where integration and inter-operability is concerned, choosing the best cloud vendor can be helpful. It will manage the other cloud vendors and give you correct advice on best ways to handle cloud resources. The hybrid cloud providers typically have the resources like networking, infrastructure, data center facilities and connectivity to offer redundancy option, resilience, disaster recovery, backups etc for overall business continuity. So, the solution to CIO worries about technology lie in the hybrid cloud. However, a bigger part of the solution lies in choosing the right vendor. This entry was posted in Cloud Hosting and tagged cloud hosting, data center, Hybrid Cloud, hybrid cloud model, Private Cloud, Public Cloud on May 3, 2017 by Abhay Singh. Thanks to cloud computing, any student or an aspiring entrepreneur can not only dream about being the next Zuckerberg but has the potential to become one. This is the power of cloud technology, which can transform business prospects, bring in new innovations, or support faster development and marketing of products with its scalability and flexibility. Every modern business needs to have the potential to scale up according to market demands with optimum resources that do not impact Return on Investment. 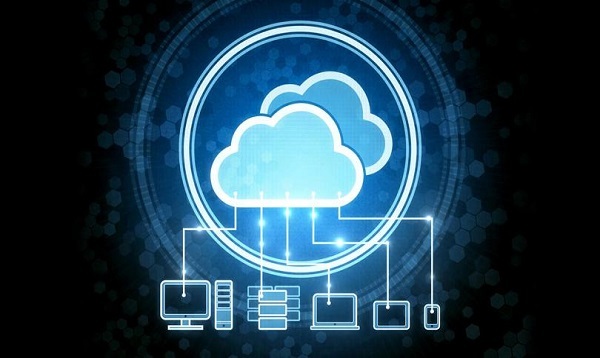 According to IBM, the most lucrative attribute of cloud for businesses is its scalability. According to Investopedia, scalability is the feature of any system that explains its ability to perform normally under greater or expanding workload. A scalable system can not only maintain the level of performance but it can even enhance the output in the face of challenging demands. There are several examples of companies including Spotify or Netflix, that have moved their operations from traditional data center facilities to cloud based facilities in order to cope up with peak time demands. Some of the most classical examples of companies who have been able to sustain their operations by adopting cloud computing to address issues of extremely high volumes of traffic are large ecommerce companies such as Amazon or Flipkart. Festival times can be nightmares for operators of ecommerce companies. The sudden rise in traffic can bring entire ecommerce operations to a grinding halt with unexpected downtimes leading to irrecoverable loss of revenues. Cloud capabilities can provide these companies much needed resources with almost no impact on infrastructural investment. Cloud adoption was not only able to support high demands during peak hours but it also helped them achieve economies of scale without altering or expanding their massive computing infrastructure. Cloud solutions enable organizations to implement scalable solutions at specific levels to meet their individual business requirements. In order to appreciate multiple levels of scalabilities provided by cloud, let us look at the different cloud delivery models. Public cloud– Among all models of cloud, Public Cloud is the most economical and highly sought after cloud deployment solution. Public cloud is offered on a shared platform to multiple users who are able to access limited cloud computing features that are economical. It is the most ideal cloud offering for small enterprises or startups to that can be scaled up or down depending on resource needs. With pay-as-you-use method of payment, public cloud is considered to be a highly cost effective option that optimizes resource consumption. Private cloud– Organizations with pronounced need to operate in private and more secure environments can adopt private cloud that provides extremely secure data storage and backup facilities to handle business critical data. Since this is a single tenant arrangement, scalability is a bit longer process and usually involves additional investment for hardware. Hybrid cloud– If an organization needs to acquire combined features of private as well as public cloud, then the option of hybrid cloud can be the most ideal. Hybrid cloud facilitates storage of sensitive data in private cloud environments while opt for public cloud environment to manage its external operations that do not involve confidential data. Many organizations continue to depend on on-premise facilities to store mission critical information while shifting other workloads to cloud. Cloud leverages a virtualized platform for provisioning of resources. In order to implement networking in virtualized platforms, Ethernet virtualization, overlay networks, or TCP/IP are used. If multiple VMs are being run per server, then datacenters are frequently required to scale network. This can be implemented by over provisioning of resources to manage incremental demands. PaaS- Application developers can use Platform as a Service or PaaS model of cloud to develop, test, and deploy applications much faster than traditional platforms. PaaS is also regarded to be highly cost effective and has an extendable architecture to develop modern platforms for faster application development. IaaS– Organizations can adopt Infrastructure as a Service to manage their infrastructure, computing, networking, and storage. IaaS enables organizations to avoid costly hardware purchases by acquiring scalable and on demand resources that are supplied on pay-as-use basis. SaaS– companies can acquire third party applications by leveraging Software as a Service that provides a user friendly interface. It supports scalability by enabling businesses to acquire wide range of applications to boost their business processes. Cloud computing also offers reactive and proactive scalability. 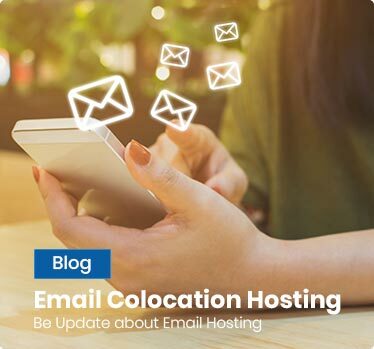 If you are expecting large spikes in traffic volumes for a particular period, then proactive scaling can be provisioned for specific intervals of time. In contrast, reactive scaling is ideal for dealing with unexpected ups and downs in resource requirements. You can leverages vast capabilities of cloud in terms of scalability, accessibility, cost efficiency, and flexibility. The multitude of scalable options provided by cloud computing can ensure that every organization can be benefited with any of these service offerings irrespective of the category or size of the business. How To Choose A Cloud Hosting Provider? This entry was posted in Cloud Technology and tagged Cloud Computing, IaaS, PaaS, Private Cloud, Public Cloud, SaaS on December 26, 2016 by Pooja Tyagi. While the Indian prime minister is flabbergasting the world with his decision of banning Rs. 500 and Rs. 1000 currency notes and people across the United States are rejoicing the victory of Republican candidate Donald Trump’s getting voted to power – it is quite sure that the world is undergoing a process of change, a change for betterment. On the technology front, organizations in droves are showing a profound inclination towards cloud technology to take advantage of cost savings and efficiency improvements over conventional on premise data centers. The promise of self-service and pooling of resources help in boosting resource utilization and the ability to scale applications in a lightning-fast speed. From an economy standpoint, individuals are reaping rewards by moving workloads to the cloud. This is well summed and highlighted by a report published by Forrester, which cites that key developments in cloud will shape the industry in 2017, as clients will seek to gain proficiencies by leveraging a pool of networked resources to serve their customers. For over a period of time, cloud technology has helped chief technology officers to stay ahead of the pack with its inherent characteristics. The recent Forrester report has enlisted a number of trends, of which the number one trend is – companies with higher budget, data centers, and intricate applications have started considering cloud as an optimal alternative to run critical business applications. Going forward, the research states that around 38% of 1000 North Americans and European infrastructure technology leaders have accepted that they are building private cloud model, whereas 32% are procuring public cloud, 59% are with hybrid cloud and the remaining have tabled a plan to migrate to cloud platform in the next few months. To be precise, the overall cloud adoption in the subsequent year is going to be impressively high with the global public cloud market to enjoy the lion’s share, i.e. $146 billion in 2017, which was just $87 billion in 2015. The flexible orientation of the cloud has always remained the driving force behind the rising adoption rate since its inception. Cloud benefits have extended beyond its metered billing parameter, allowing clients to control capital investment in the New Year, as cloud gains more maturity. 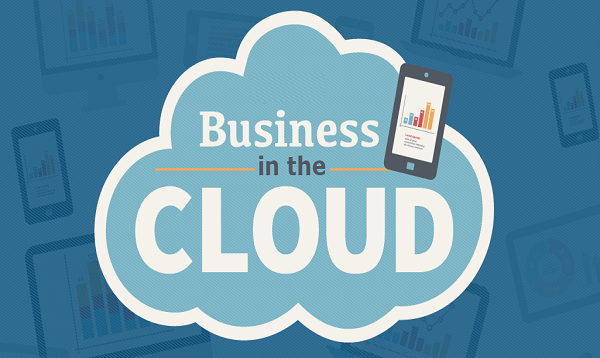 In the present landscape, clients are leveraging multiple cloud environments. As this consumption-based computing model allow clients to monitor their resource utilization and plan accordingly for future. The good news is there are a multitude of cost management tools available in the market today. Therefore, it is for sure that costs allied to cloud will not go up. The other trend that the world will witness is refactoring of software codes to leverage the elasticity of cloud. Simply subscribing public cloud hosting platform and keeping legacy applications – it is will not yield same expected results. Thus, rewriting the applications as per cloud framework gives businesses an ability to make the best out of the cloud technology. 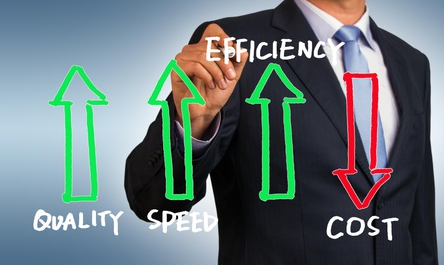 It is no shocking that lift-and-shift migration process will incur a high cost. 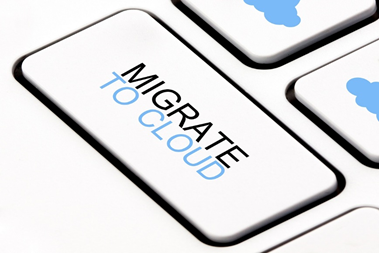 It is believed that in the year 2017, these lift-and-shift migration tools will increase the pace of cloud migration. Security issues in public cloud are one of the major reasons why companies hold themselves to migrate their critical and confidential data to the public cloud. Same as public cloud, private cloud computing model makes use of virtualization, automation, compute management, and standardization. And, it won’t be an overstatement that converging these capabilities is an expensive undertaking. In this regard, Hyperconverged infrastructure to rescue as it facilitates clients with pre-configured compute and cloud storage capabilities to get their cloud implementations done in a hassle-free manner. It is observed that companies are embracing an HCI model for their private cloud development with an intent to take advantage of cloud’s scalability. Containers help businesses to smoothly run applications when migrating from one computing platform to another. 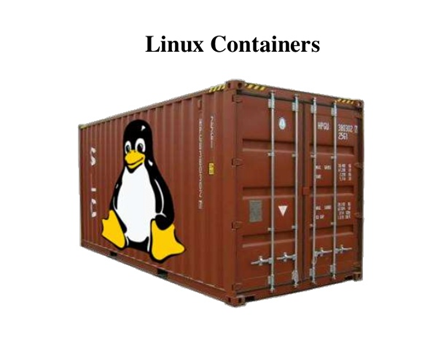 Linux containers enable developers to customize and separate applications with their entire runtime environment. These open source technology based containers are designed to cutback intricacies and struggles between development and operations team by finely allocating the areas of responsibility. The Forrester report suggests that these Linux containers will stay pertinent in almost every public and private cloud hosting platform. In an apparent scenario, developers will make use of such containers to expedite micro services development. As New Year will unlock new trends in cloud adoption, it is better to educate yourself on each slight change, including developments in Hyperconverged Infrastructure to make the best out of your resources. Before your counterparts outmaneuver you and leave you flabbergasted, fasten-up your belts and optimize your cloud strategy. This entry was posted in Cloud Hosting and tagged Clou Hosting, cloud environments, Private Cloud on November 14, 2016 by Taiba Fatima.